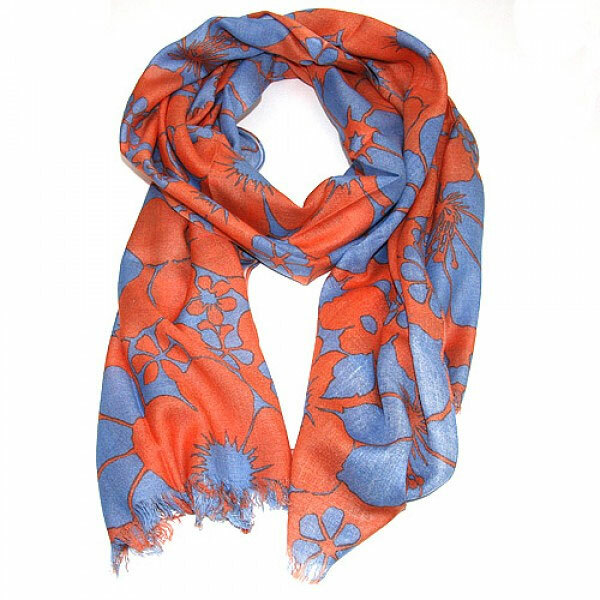 This attractive and colourful, bold floral print scarf is made from a soft combination of cotton and viscose. 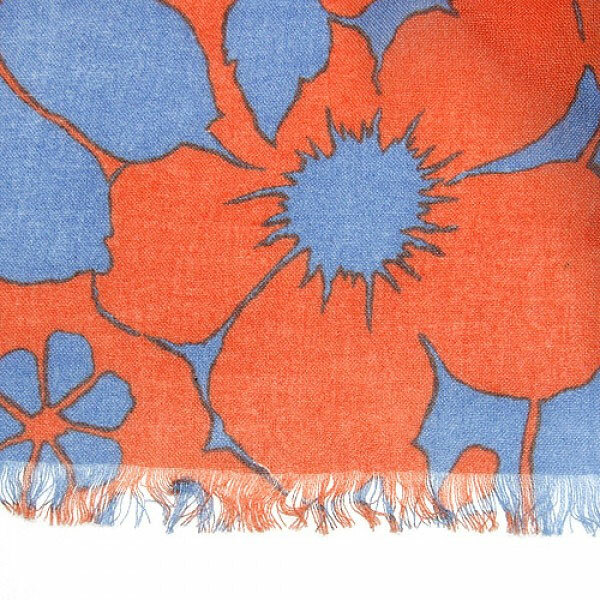 The design of the scarf is a lovely bold interplay of flowers in 'jaffa' orange and a soft pale blue. Size of scarf: 50cms wide x 180cms in length. These are Fair Trade scarves from a BAFTS registered supplier.